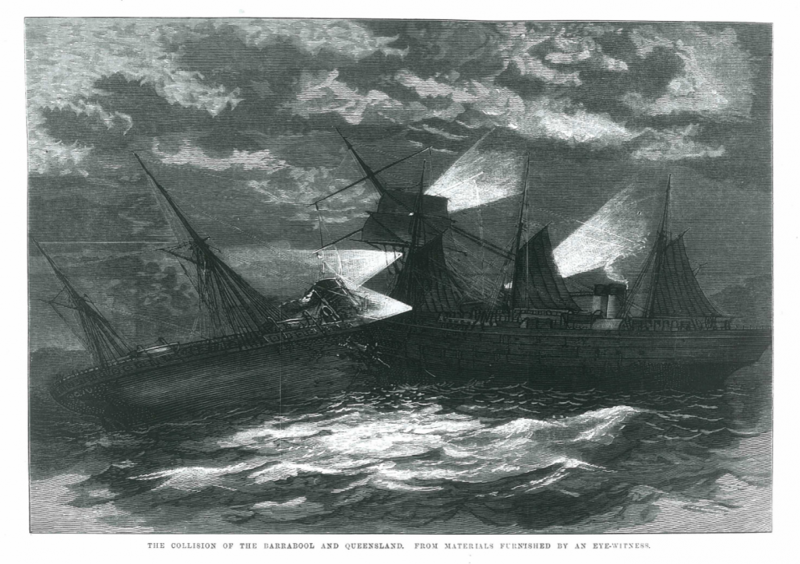 The SS Barrabool collides with the SS Queensland. Because of how new the SS Queensland was, we don’t have a photo of what it looked like. But this is where we come in. The year was 1876. The University of Adelaide began classes that year and the Melbourne Cup was run for the first time on the first Tuesday of November. It was also the year that SS Queensland sank off Wilsons Promontory in Victoria, after colliding with the steamer Barrabool in the early morning of 3 August. SS Queensland was en route to Fuzhou, China from Melbourne, and was heading towards Sydney with a cargo of Chinese tea. But the second mate of Barrabool mistook the masthead light of Queensland for the Wilson’s Promontory lighthouse. It was going full speed ahead until it struck Queensland’s starboard (or right) side. Queensland was so badly damaged that it sank in only 35 minutes. 143 years later in 2019, our research vessel (RV) Investigator is using the wreck of SS Queensland to give us higher quality maps for safe navigation, and test other equipment ahead of a program of historic shipwreck surveys in the area. The survey program brings together experts from the Australian National Maritime Museum, Heritage Victoria and the Australian Hydrographic Office, who will work with our team on board to search for other ships whose resting location is currently unknown. The Australian coastline is dotted with shipwrecks, some known and others yet to be discovered. One part of the mission of our RV Investigator is to help fill in the gaps in our seafloor maps to aid in ensuring safe shipping and navigation. On many voyages, we also seek to work with maritime heritage agencies to solve the mystery and pinpoint the location of long-lost ships. This brings our super science ship to the Bass Strait on a voyage to map the seafloor and survey for historic shipwrecks. The wreck site of SS Queensland, which is nearly 100m long and was found in 2005, provides RV Investigator with the perfect location to use, calibrate and test its multibeam echo sounders on a known target. This equipment delivers colourful images of the seafloor and its surrounding structures, as well as showing the unexpected and tell-tale shapes of possible shipwrecks. But it only gives a rough image of what the wreck and the area surrounding it looks like. The image is so rough that it sometimes looks like it has icicles on the boat! Definitely not correct when we’re off the Victorian coast. To fix this, the scientists on our ship have to clean up this interference which often takes days. There’s nothing like taking a closer look though! The camera gives us a closeup look of the wreck to aid in identification and wreck site mapping. Once the initial mapping of SS Queensland is complete, a drop camera is then lowered from RV Investigator to take a closer look at the wreck. This special underwater camera is lowered to sit just above the wreck. Investigator then sailed parallel to the wreck at low speed to capture close up vision of the ship and build a composite picture of the whole site. 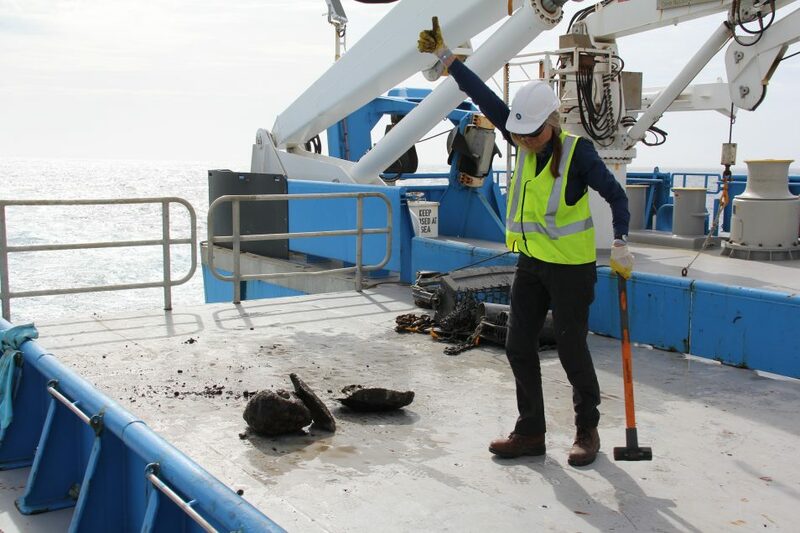 Doing multiple passes over a site allows mapping technicians to build more detailed maps of features and objects, which can then be used to confirm if that unexpected something is a shipwreck. Along the way, the drop camera also captures footage of a lot of curious fish and other marine life. With these surveys completed and equipment tested, Investigator departed to begin its program of shipwreck surveys in Bass Strait. With proven successes in the past, including the discoveries of SS Macumba and SS Carlisle in 2017, Investigator’s freshly calibrated mapping systems have all on board excited about what they might find. We’ll be sure to keep you in the loop with the fish and ships they find in the deep! 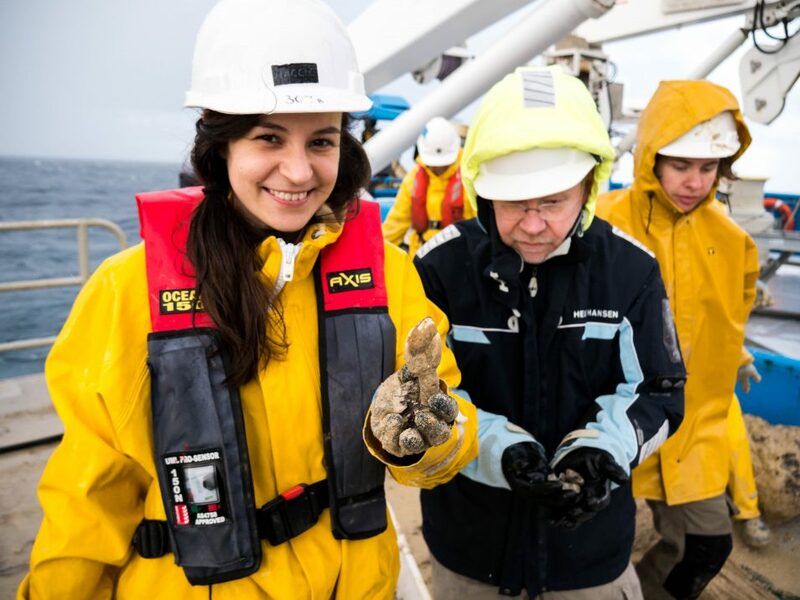 This International Women’s Day, we’d like you to meet the talented women on board our research vessel Investigator. 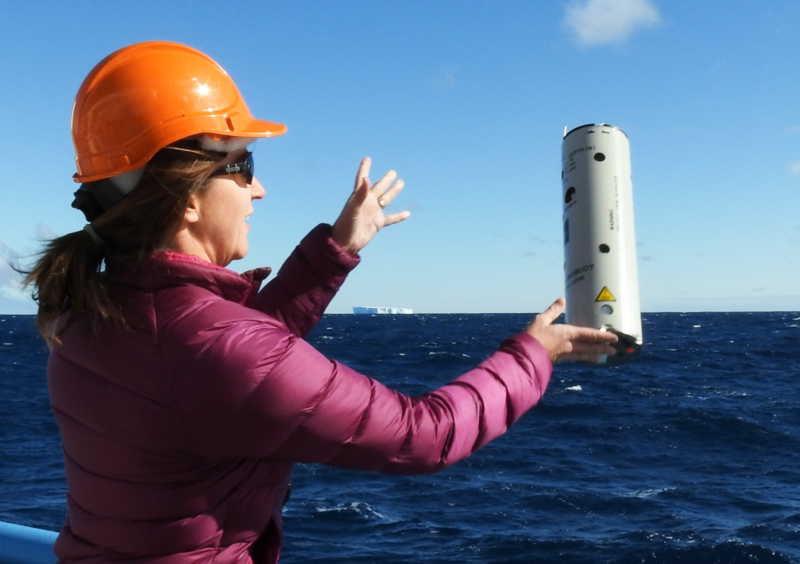 Investigator travels from the tropical north to the Antarctic ice-edge, delivering up to 300 research days a year. And on each voyage you’ll find female scientists, ship’s crew and support staff answering big questions, whether they’re studying ancient microbes or they’re ensuring the health and well-being of the people on board. The six women you’ll meet include an oceanographer, a doctor, a marine geophysicist, a voyage manager, a captain and—last boat not least!—a leader who oversaw the construction of the ship itself. Some of these women knew, when they were young, that science floated their boat. Others took a more sea-nic route. But one thing’s for shore: they’re all smart, adventurous, competent, courageous and hard-working. So steady your sea legs, you bunch of landlubbers, and let’s meet the women on board! Martina is a biological oceanographer. She looks at microscopic organisms called microbes—the first organisms on the planet. 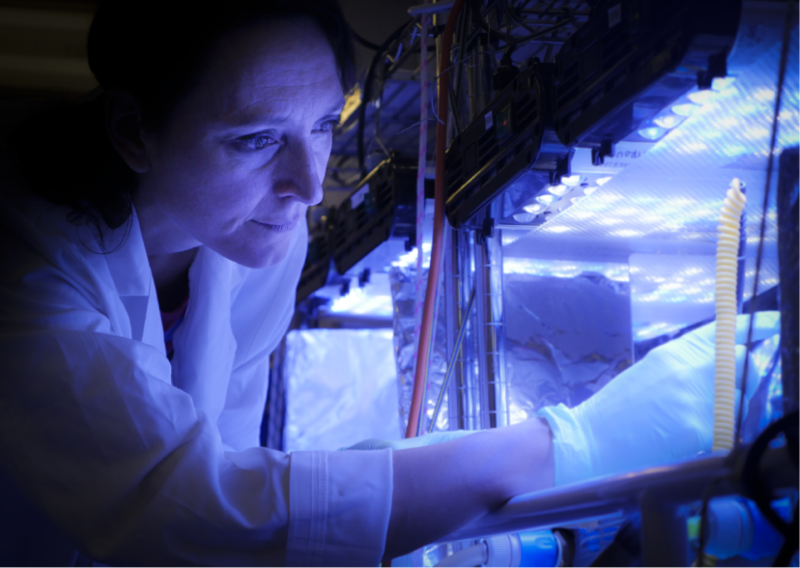 As she points out, “If there were no microbes on the planet there’d be no people!” It’s important science, especially in the face of a changing climate: Martina seeks to understand what climate change and a warmer ocean will mean for these microbes. But it’s not just about her science. 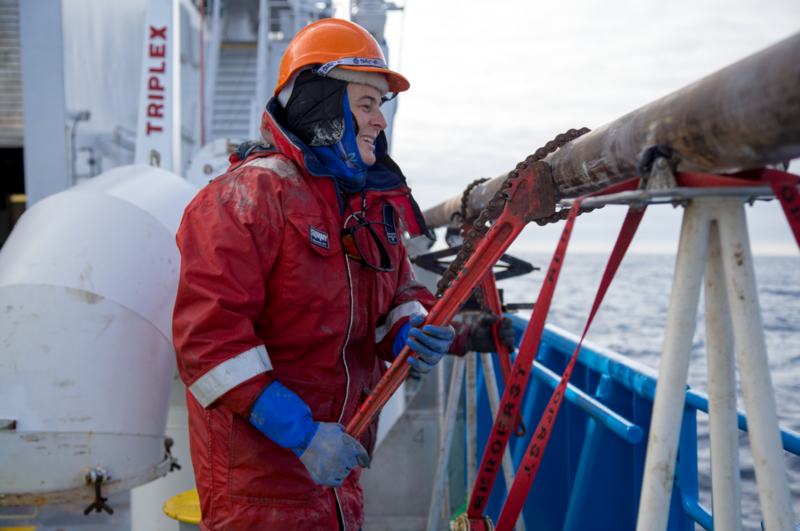 “I’ve been able to train several female biological oceanographers, which has been really satisfying, partly because it’s still a pretty male-dominated profession,” she says. 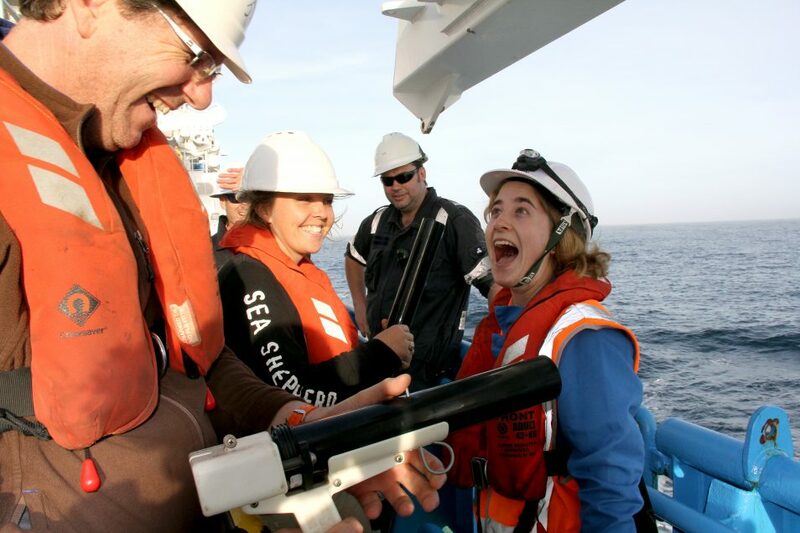 “For young female scientists, it’s a very empowering thing to be able to do experiments on a big ship, to work at sea and use the equipment. It can be life changing”. 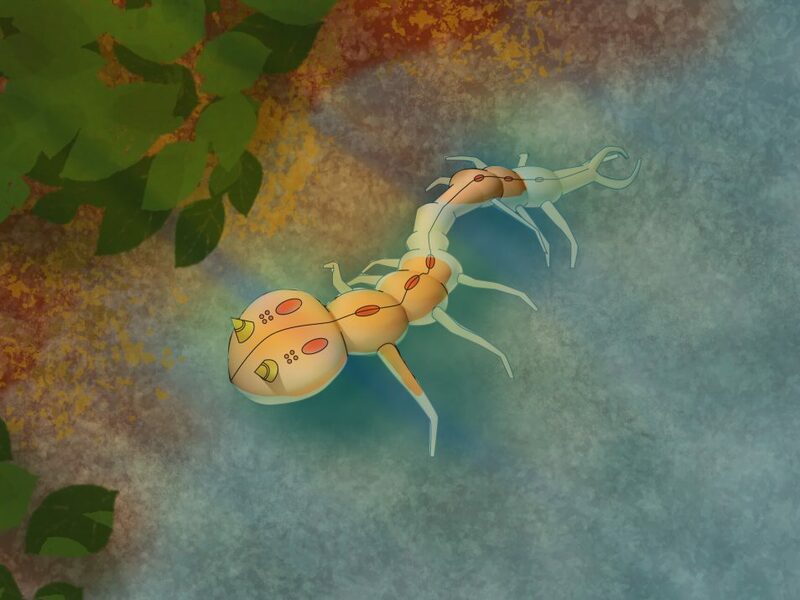 Learn more about tiny organisms and big voyages! Fun fact: Martina’s identical twin also works in environmental science—she’s a plant biologist! 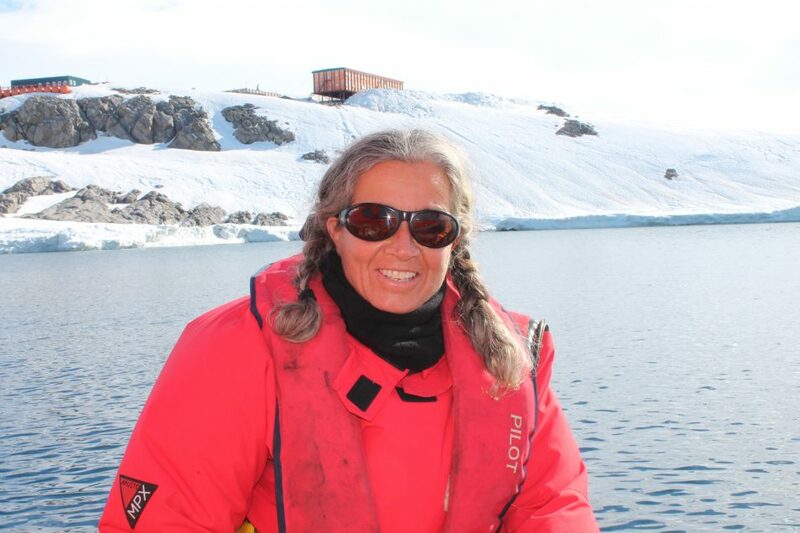 Dr Sheri Newman was a ship doctor during a voyage to Antarctica, aboard RV Investigator. When Sheri Newman was young, she knew she wanted to be a doctor and a surgeon. Jump ahead to 2016, and Sheri is a doctor and a surgeon. In Australia, women accounted for 50 per cent of all medical graduates, but women make up just 12 per cent of all surgeons—the smallest proportion of any medical speciality. The Antarctic experience got under skin. After her time on Investigator, she decided to become a wilderness doctor. 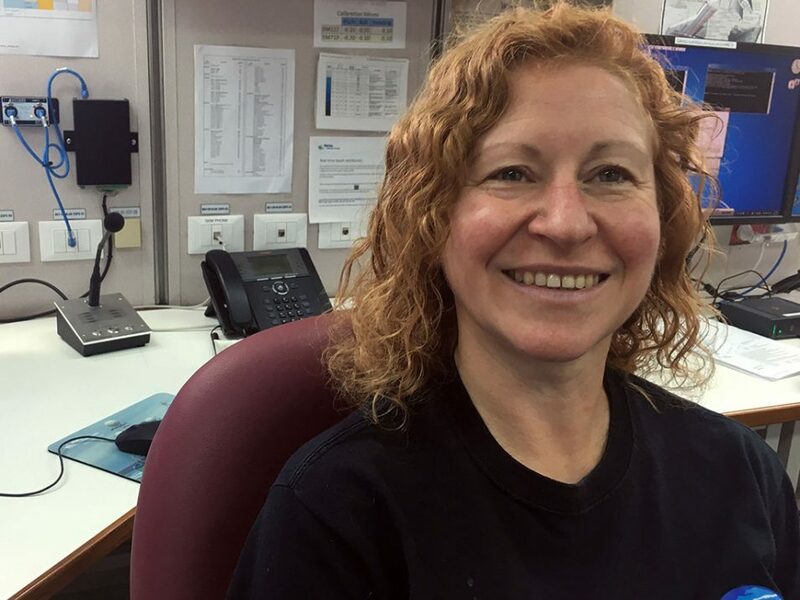 She’s since been the Ship’s Doctor on many vessels in remote and exciting locations: she’s been to more than 17 countries, as a doctor, medical student and intrepid traveller. 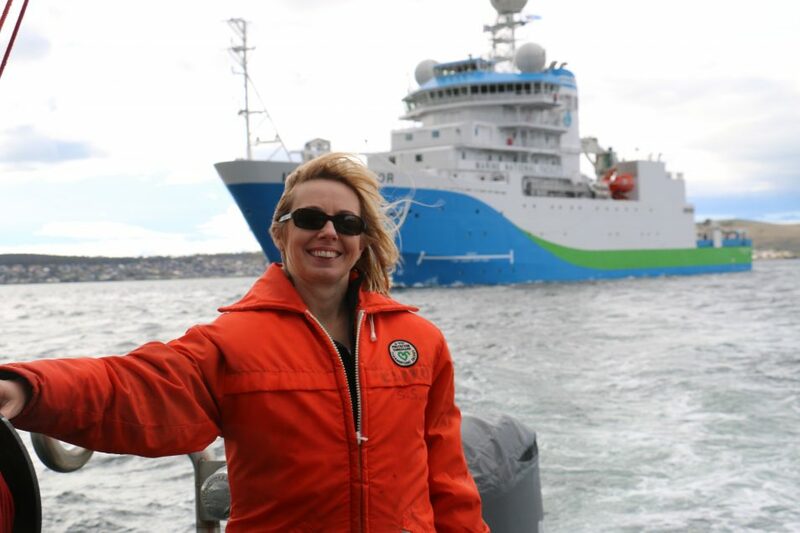 Tara Martin’s work links her back to the explorers: she maps the deep dark seafloor, as a marine geophysicist aboard RV Investigator. Tara is a marine geophysicist. She maps the deep ravines, plateaus and peaks of our uncharted seafloor, up to 11 000m below the ocean’s surface. “We know more about the surface of the moon than we do about the sea floor … Australia has the third largest ocean zone in the word, and we’ve only mapped 25 per cent of it,” she explains. Each time Investigator goes to sea, Tara’s team maps more of this underwater world. 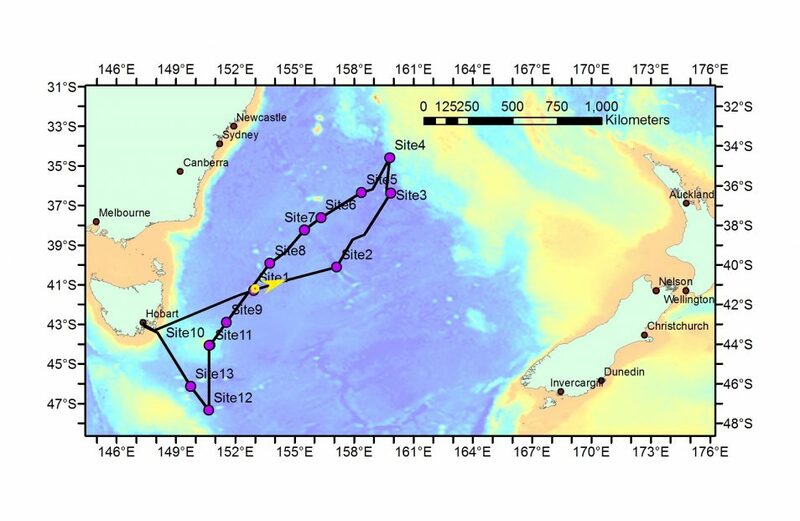 Recently, Tara’s team revealed a diverse chain of volcanic seamounts located in deep water about 400km east of Tasmania. “Our job links us back to the explorers,” she remarks. 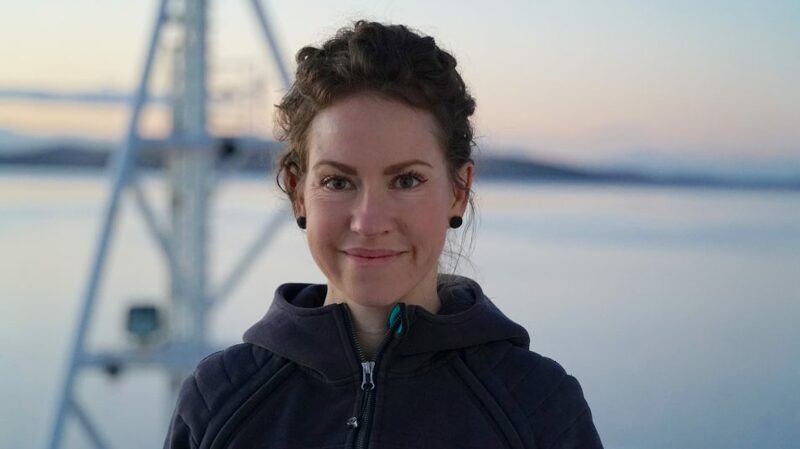 Tegan Sime is a Voyage Manager aboard RV Investigator. She keeps the crew and scientists singing from the same sea-shanty songbook. At 23, Tegan was eager to study marine biology at university, but she hadn’t done so well the first time around at school. Determined, she did Year 12 again, got her high school certificate, started university, and did her honours aboard our former research vessel, Southern Surveyor. Madeleine Habib is a Ship’s Captain. She is part of a very small group of women seafarers in Australia: less than 1% of the workforce. Toni Moate stands proud in front of Investigator. She oversaw the creation of this $120 million state-of-the-art research vessel. Not many people can say they were responsible for building Australia’s biggest state-of-the-art research vessel. Toni left school at 15, at the end of Year 10. At that stage, she’d never left Tasmania. She went into the public service, and hoped to be a secretary one day. And we couldn’t be prouder of Toni. In 2017, she was awarded the Tasmanian Telstra Business Woman of the Year. She is now our Director, National Collections & Marine Infrastructure. Her ambit includes RV Investigator, so she can still step on board and walk around her second home! Women and science—why do we need to rock the boat? If we’re going to build a healthy, prosperous Australia, we need all of the talented women in science, technology, engineering, mathematics and medicine (STEMM) to be part of the team. But women in STEMM face a number of barriers in their careers, some obvious, some covert. In STEMM fields, only 18 per cent of leadership positions are held by women. Since the 1980s, more than half of all students graduating with a Bachelor of Science or a life science PhD are women, but women make up less than 20 per cent of lead researchers at senior levels in universities and research institutes. So what are we doing to get more women on board … and on boards? So what are we doing to address gender equity? We’re part of the Science in Australia Gender Equity (SAGE) pilot and the Male Champions of Change (MCC) initiative. We were one of the first cohort members of Australia’s SAGE Athena Swan pilot program, and were recently awarded an Institutional Bronze Award. And we’re continuing to roll out our SAGE Action Plan, designed to drive systemic, long-term change towards gender equity within our organisation. You can read it here. And it’s not just an internal mission. We’re also addressing gender inequality in the research and projects that we deliver in developing nations. Can you imagine living life without your phone? If you think about it, it was only about a decade ago when smartphones entered our lives, changing forever how we interact with each other and the world around us. But mobile technology isn’t confined to our cities: it’s also helped scientists working in some of the most remote places on Earth. Like a team of scientists on our RV Investigator, who have just returned to Hobart after a seven-week voyage across 200,000 square kilometres of the icy Southern Ocean. Scientists from the Australian Antarctic Program were looking at the complex relationship between krill, whales, and their roles in maintaining the health of the Southern Ocean. 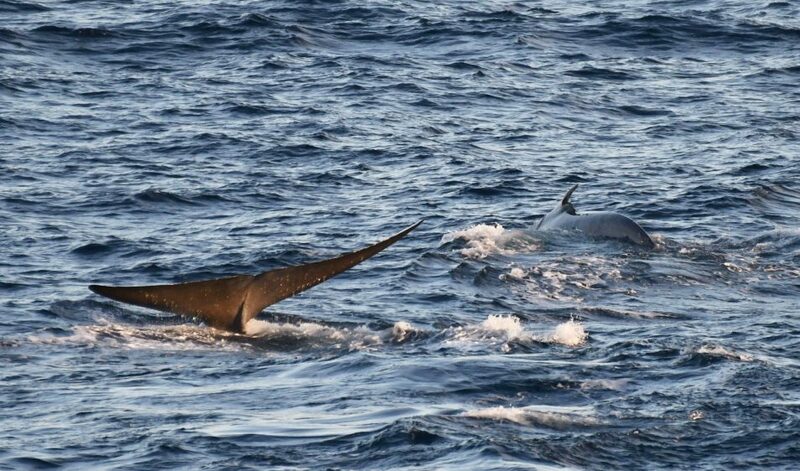 Krill ecologist with the Australian Antarctic Division, Dr So Kawaguchi, said this is the first time a survey of Antarctic blue whales has been conducted together with a structured survey of their prey, tiny crustaceans called Antarctic krill. But how do you measure data in such a large area for two species in a short amount of time? This is where technology comes into the picture— a team of scientists have used innovative technology to uncover the distribution of endangered blue whales and krill. Antarctic blue whales may be big … but the Southern Ocean is bigger! The first challenge for the team of scientists on this epic 13,000 kilometre journey was to find the Antarctic blue whales in the vast waters of the Southern Ocean around Antarctica. Lead whale acoustician, Dr Brian Miller, said that more than 250 underwater listening devices were deployed during the voyage. They were used to detect the low frequency calls of the whales. “We monitored over 750 hours of underwater recordings and measured over 33,000 bearings to blue whale calls, which enabled us to home in on whale ‘hotspots’,” Dr Miller said. Over 300 hours of whale watching led to 36 encounters with these magical creatures, leading to the identification of 25 individual whales. One was an old friend: the researchers spotted a whale which had been recorded on an expedition six years ago. For the first time on an Australian research vessel, echo sounders were used to construct three-dimensional pictures of giant krill swarms. Several swarms extended over one kilometre in length and hundreds of metres across, containing many millions of krill. “We’ve now got so much more information about the fine-scale three-dimensional structure of krill swarms that we can start to get a better idea of the sort of swarms Antarctic blue whales hunt,” Dr Kawaguchi said. 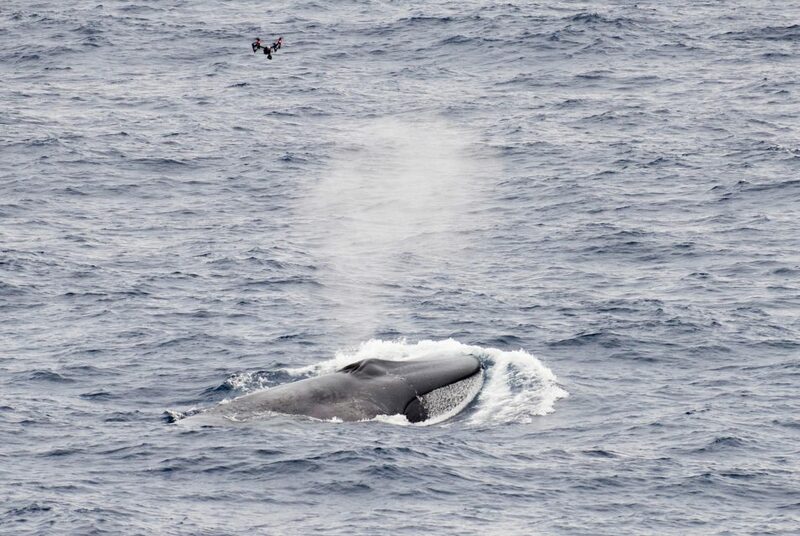 If listening to the whales and 3D mapping of krill wasn’t enough, drones were also used overhead to measure whale size, capture their “blow” (the air exhaled explosively from their blowholes), and sample trace metals in surface water. The technology used in this research has gathered data that will lead to the improvement of ecosystem-based management of Antarctic krill and conservation of endangered species such as Antarctic blue whales. This research was supported by a grant of sea time on RV Investigator from the CSIRO Marine National Facility. 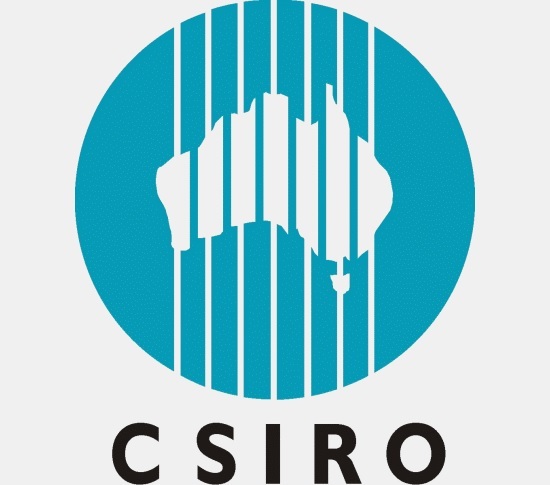 CSIRO’s NEAR Program is collecting, storing and analysing energy data to support Australia’s electricity system of the future. Summer is a time when our energy system is put to the test. Long, warm days mean air conditioners running at full force, and the high temperatures can put our electricity generation technologies under stress. Like the power running to our homes and businesses, streams of data about how these hot days translate into Australia’s energy use are pouring out. There’s a vast amount of incredibly useful data, but it’s stored in different formats, by different organisations, and sometimes it never sees the light of day. At the same time, we’re trying to figure out how the electricity system of the future will look. We’re seeing a rise in distributed energy technologies (like household solar panels, batteries and electric vehicles) and a growing complexity in the way we use energy (like air conditioners being switched on and off as temperatures wax and wane). So how can we stay on top of ongoing changes, and know where to invest in infrastructure? We’ve found a way to corral a lot of that data (and lots of smart research) into one central platform so the right information is available when it’s needed. We’re calling it the National Energy Analytics Research (NEAR) Program – a collaboration between us, the Australian Government and the Australian Energy Market Operator (AEMO). Dr Nariman Mahdavi Mazdeh is part of the research team centralising Australia’s energy data into the NEAR Program. When we say ‘data platform’, what we really mean is a huge online warehouse. It contains energy consumption patterns, characteristics of buildings where we live and work, information on how we use fridges and clothes dryers, statistics about weather patterns, and much more! It’s a range of different data sources that can deliver answers to really complex energy problems. So it’s a data warehouse and a data workhorse. For example, using NEAR Program research, we could anticipate how a 35 degree day will drive air conditioner use across Victoria and where the energy will most need to flow as a result. Being able to marry that sort of information with statistics on which houses have solar panels or battery capabilities, for instance, means being able to direct funding for electricity infrastructure to the right place. We’re shedding light on Australia’s energy use, with the NEAR Program. Centralised data, and then what? We’re currently undergoing a period of major energy transformation and the electricity network of the future will require billions of dollars of investment to get us to where we need to be. That’s why it’s so important that decisions about our energy future are underpinned by the very best data and research. Over periods of extreme heat or system stress, outputs from the NEAR Program will help identify areas of risk and provide evidence to support appropriate decisions (like whether to apply ‘load shedding’ – more commonly known as ‘rolling blackouts’). This will mean a better bird’s eye view of what happens on those 35+ degree days, helping make sure the lights stay on and we all stay cool and calm. The NEAR Program will also address increasing energy costs, linking consumer patterns with energy sector data to build a fuller picture of the modern Australian energy user. This will support research focused on simultaneously increasing comfort and lowering costs for Australian homes. Project leader Dr Adam Berry is a man who lives for data. He and the team are already off and running, contributing really important data to the Australian Competition and Consumer Commission (ACCC) Retail Electricity Prices Inquiry about how energy costs impact Australian households. 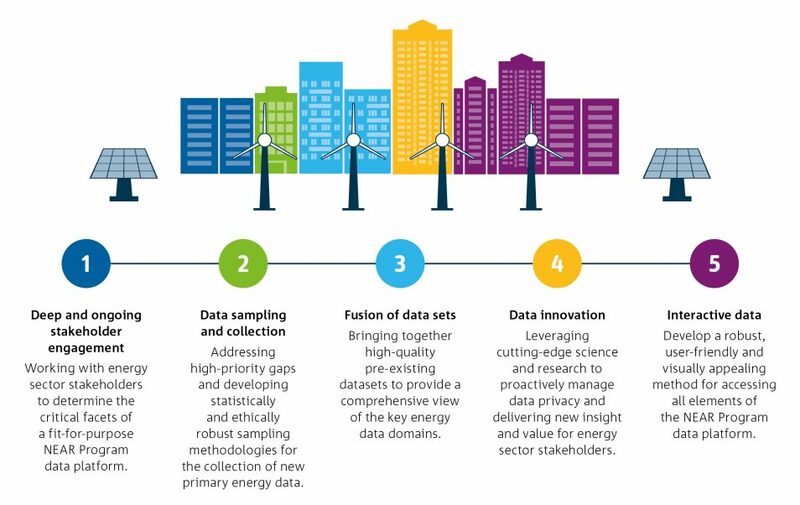 The team will keep working with government, regulators, operators and distributors, to drive data innovation needed by industry, researchers and policy makers to secure the best energy future possible for Australia. Do you want to contribute to our understanding of household energy use? Our CSIRO Energise app has collated a veritable stack of information about how you use your appliances and react to weather fluctuations. This anonymised data comprises part of the NEAR Program too. It provides us with rich insight into the experiences of modern Australian energy consumers. And it’s not too late to participate, in fact, you can download the app right here. 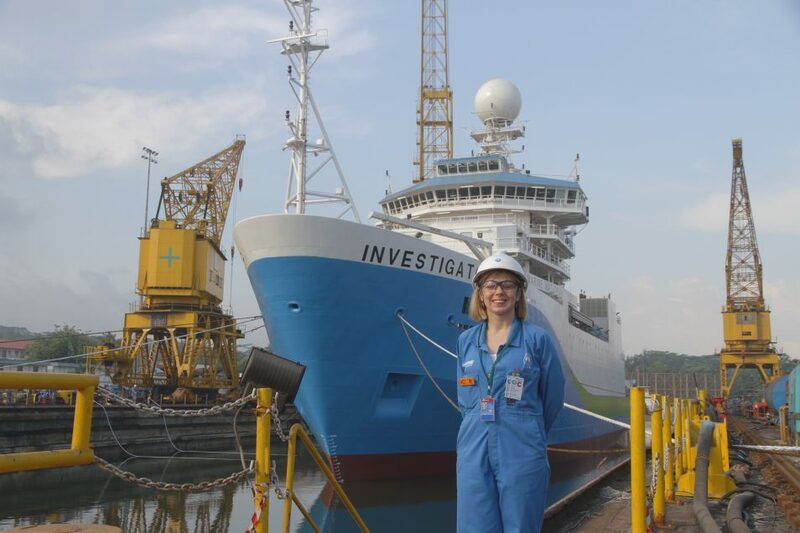 Women make up 85% of scientists on this voyage of RV Investigator, which is being led by the University of Tasmania. We’re back out on the waves on board RV Investigator serving up live science plucked fresh from the high seas – and what a voyage it’s been! Since departing Hobart just after Christmas, we’ve been busy sailing for science – not in pursuit of freaky abyssal fish, nor whale watching or shipwrecks – this time we’ve set out for the love of rocks. Yep, you read it correctly. 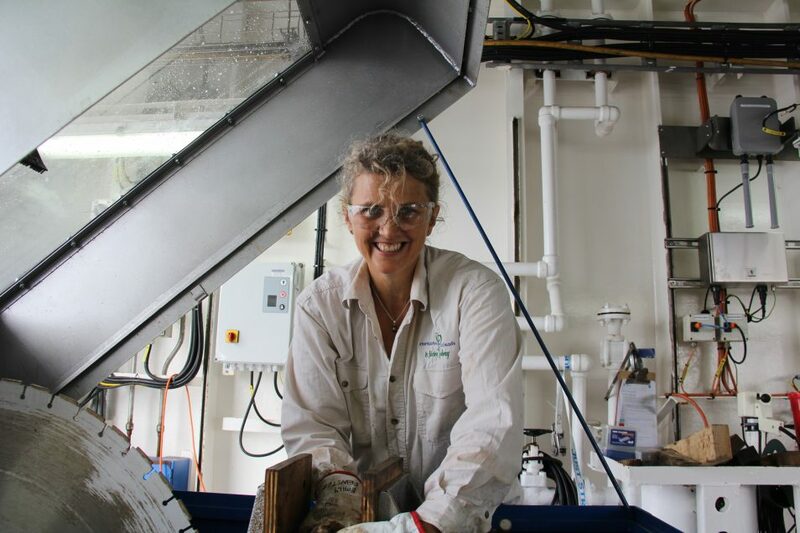 The Chief Scientist, Dr Jo Whittaker from the University of Tasmania is leading a team of geologists on a two-week voyage to undertake research into one of those huge, soul-searching kind of break ups. Think less Ariana and Pete (hello, millennials, are you reading CSIROscope?) and more Australia and Antarctica. We’re hoping that we might get the closure we need by investigating an area hundreds of kilometres off the coast of Tasmania brimming with seamounts (underwater volcanic mountains). All of this drama went down like, 35 million years ago, so we should really be over it by now, but according to Jo, it’s vital that we understand what happened in Antarctica’s past in order to predict its future. Jill, CSIRO summer scholar student (right) has been busy mapping seamounts as part of our Geophysical Survey and Mapping (GSM) team. Seamounts are caused by mantle plumes – basically, the homewreckers of the lithosphere (the Earth’s crust and upper mantle). Mantle plumes are an up-welling of extra-hot molten rock (magma) from the mantle below and they can seriously mess stuff up. 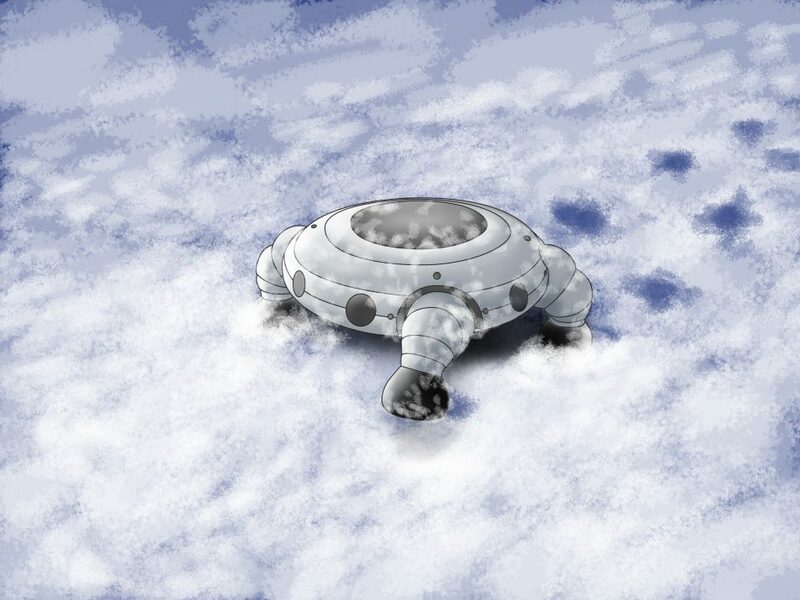 They can cause the Earth’s crust to weaken and rise up through the sea floor, creating big structures such as seamounts and large underwater plateaus, like the Kerguelen Plateau in the Southern Ocean. While a mantle plume more or less stays put over time, tectonic plates can continue to drift over it, resulting in seamounts sprouting up in chains across the seafloor. A mantle plume can also cause the Earth’s surface to be uplifted. Jo thinks that if we can determine the age and the order in which the seamounts we are studying sprouted as a result of the Balleny mantle plume, we’ll get a better understanding of the role this plume played in this epic break-up. “Antarctica underwent a dramatic change 34 million years ago going from Tasmanian rainforests to a glaciated state,” says Jo. 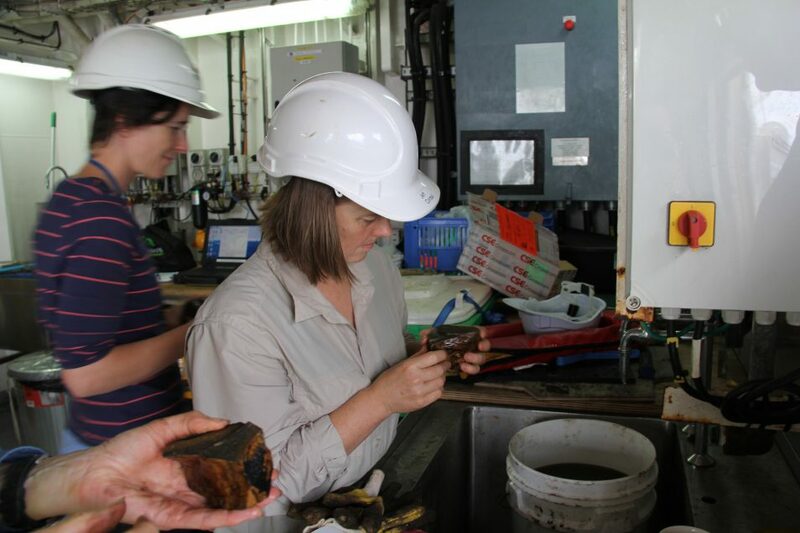 Voyage Chief Scientist Jo Whittaker inspects the contents of the latest geological treasure haul. Faced with the prospect of a dry ship on New Years’ Eve and oscillating bouts of sea sickness – compounded by my baseline understanding of geology (which has marginally improved), it’s been a seamount-shaped learning curve catching up on the science above and below decks. RV Investigator operates 24 hours a day (eye-masks issued on board say “good science doesn’t sleep but good scientists do”) and being on board this world-class research vessel feels like living inside a big, heaving, cooperative sea creature, fuelled by the enthusiasm and smarts of the crew, scientists and support staff on board. 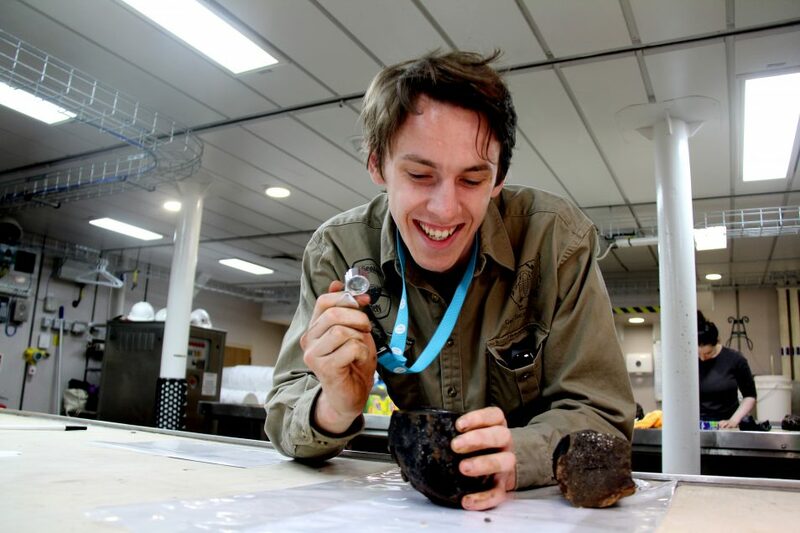 (In case you can’t tell) Tom, PhD student from University of Tasmania is excited to find some fresh basalt, because it will clue us in to the age of one of the seamounts. Much to one geologist’s delight, we occasionally dig up sediment. Popping this under the microscope can reveal a catalogue of million-year-old microfossils including the remnants of coral and plankton which can be dated. Everyone is connected on board by some advanced and not so advanced technology. It’s not unusual to wake up to a message from a scientist at 2am posting a photo from another ‘gorgeous dredge’ or to find napkins passionately scribbled with geological diagrams lying around the ship’s galley. 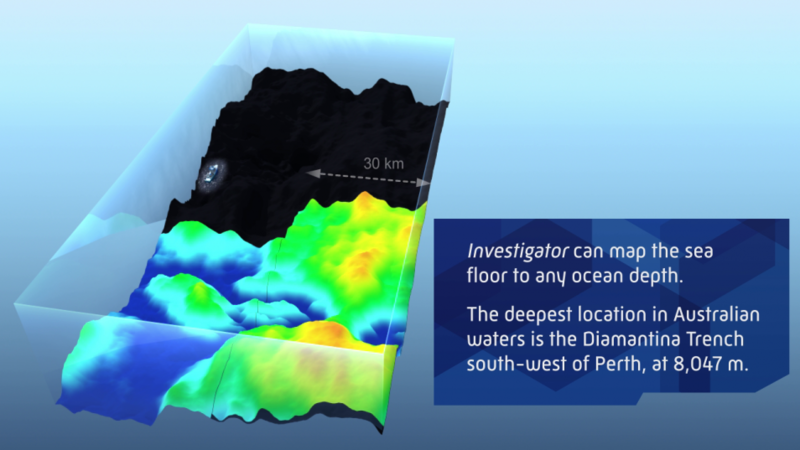 RV Investigator has advanced multibeam systems that can map to full ocean depth. Navigating the unknown is, of course, made much easier with detailed maps and our geospatial mapping team has been constantly collecting seafloor data in rotating 12-hour shifts. The maps are used to decide which part of the seamount we’d like to sample. The ship’s winch is then used to lower a dredge down to thousands of metres below the ocean surface to sample along the top of the seamount. Enough about us, though – let’s jump into a quick recap of why we’re here. We don’t know how long Tasmania and Antarctica shacked up together before separating around 100 million years ago but their relationship goes back at least 500 million years (New Zealand came along for the ride too #itscomplicated). At some point, maybe around 80 million years ago, tension rose to the surface. The Balleny mantle plume, a hotspot, appeared on the scene and fired up seamount after seamount in progressive chains. After being so close for so long, Antarctica and Tasmania started to drift apart. At first, Tasmania started to back off slowly, at a rate of a few millimetres or so per year. Then, around 35 million years ago, rapid uplift of the crust saw Tasmania start zipping north at around 7 centimetres per year. It was time for Tasmania to move on, and leave the hotspot and Antarctica behind. Around 34 million years ago Antarctica became increasingly cold – icy, if you will – and the happy memories of the flora and fauna it once shared with Tasmania became a thing of the past. Perhaps Tasmania still carried a flame as it moved north – after all, its rocks, landforms, soils and vegetation are all by-products from a long-term relationship with Antarctica. 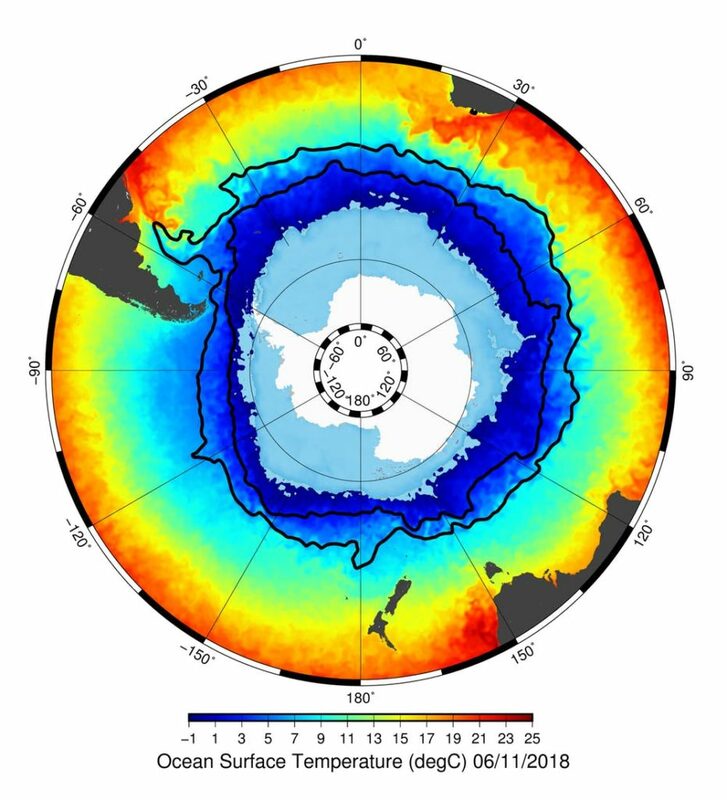 As continental drift accelerated, the sea floor widened enough to form a gateway (opening) for colder waters to start circulating around Antarctica. 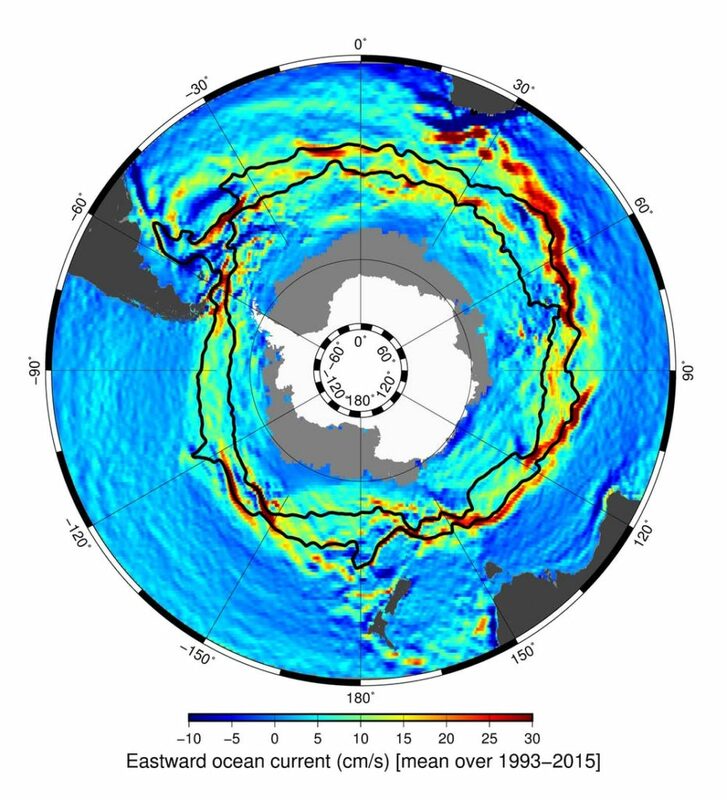 We call this the Antarctic Circumpolar Current (ACC), which thermally isolates Antarctica and helps keeps it cold. It’s possible that the uplift of the seafloor could have led to the opening of the Tasman Gateway – and the related onset of the ACC. Determining how and when the seamounts formed in this region will help us better understand the evolution of the ACC. Emily is an Australian teacher on board under our Educator on Board Program. When she’s not assisting scientists with preparing samples, she’s coming up with new geological slants for the school curriculum. Even though things have cooled off, we still have some lingering questions to be answered. Did continental drift alone cause the Tasman Gateway to open, leading to Antarctica’s progressively cold state? How drastically did the Balleny mantle plume affect the seafloor over time? Out here, Jo’s looking for those answers in the rock samples, which she describes as ‘geological time capsules’– they’ll be dated and analysed back at the lab. Scientists are seeking to join the dots to better understand this chain of seamounts that stretches across the Tasman Sea. One of our Australian Square Kilometre Array Pathfinder [see below] (ASKAP) teams is preparing to produce a catalogue of 70 million galaxies. 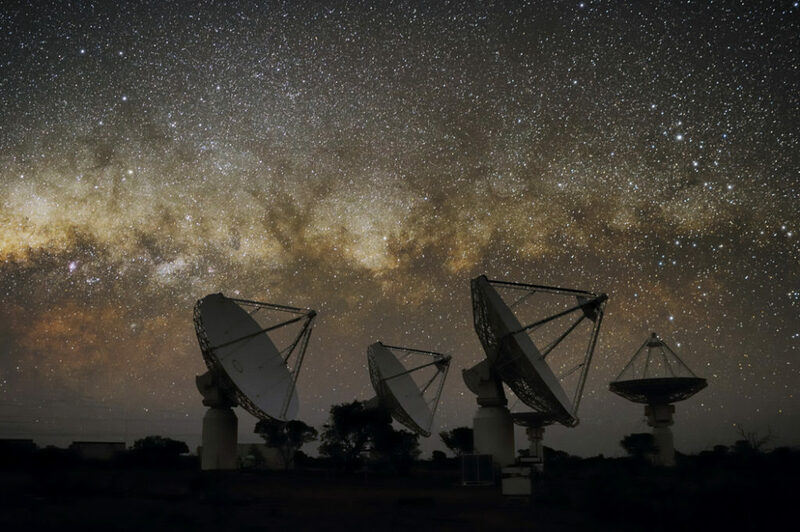 That’s a pretty solid number – it’s actually more data than has ever been detected by all radio telescopes across the entire history of radio astronomy. If you want to split hairs, it’s about 25 times the number of galaxies ever detected. ASKAP is actually a precursor to the SKA which is a big international project to build the world’s largest radio telescope. Construction is due to start in the 2020s in Australia and South Africa. And that will mean even more data. So how to sift through the millions of galaxies buried within terabytes and terabytes of data? There’s a big project fittingly called The Evolutionary Map of the Universe (also known as EMU – cute!) and they have this challenge ahead of them. All that data can’t be waded through by humans alone and that’s where Tim Galvin from our Astronomy and Space Science team comes in. Tim’s research group, which also involves the Western Sydney University and other institutions, is working to solve that data deluge with machine learning: training an algorithm to sift the supernovas from the Moon dust. “We’ve never been so deep across such a large surface of the sky. We’re going to have way too much data,” Tim said. Tim’s role is trying to see how machine learning can help solve particular problems. He’s working on an algorithm called ‘self-organising maps’ which will help organise different types of radio sources they’re seeing in the data surveys. “We only want to have to worry about the cool interesting stuff. But we’re still figuring out what the ‘important’ data will look like. “We’re at a special time where technology can do very cool things – that even ten years ago you would have said ‘no way’ to. “For example, the idea that you could get affordable disks to store 30 or 40 terabytes of data – or CPUs capable of churning through that data. 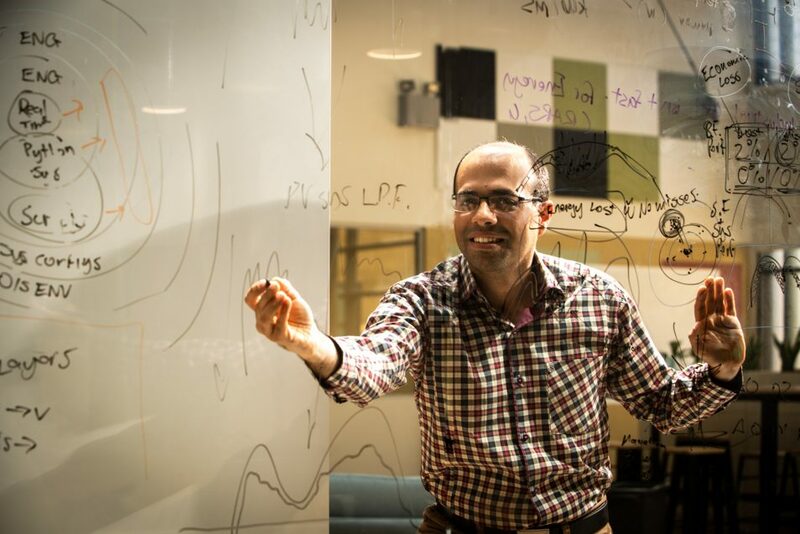 “It’s a really cool time to be at CSIRO with big data instruments, because we’re getting to the point where we can make big strides in problems that we used to think were just too big to solve,” he said. ASKAP is made of 36 identical 12-metre wide dish antennas that all work together as one telescope. The antennas have unique CSIRO-designed phased array feed receivers – each one creates 36 individual beams on the sky – traditional receivers have one beam. These special receivers effectively give astronomers a wide-angle lens on the Universe with a field of view of 30 square degrees – huge! Tim’s vision is the opposite. He has a visual impairment called Choroideremia (sometimes abbreviated to CHM) which makes it like looking through a tunnel. 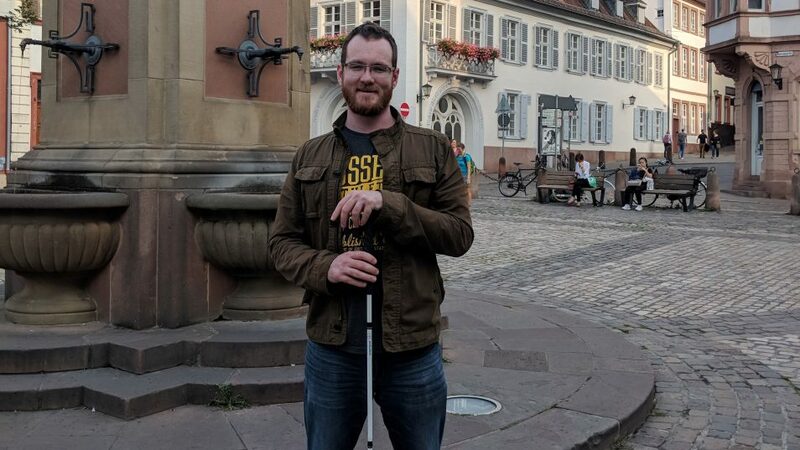 “It’s a visual impairment that I’ve had all my life. It’s a progressive condition – so it gets worse over time. “My left eye is more or less gone – I can’t read or see with it, but thankfully my right eye has a really strong field of vision at the centre. “Day to day, I can still read a computer screen easily. I have large text and colour schemes to help recognise what I’m reading, and generally the accessibility tools on most systems are exactly what I need. I’m pretty lucky. “If I’m away from the computer, though – even doing simple things like walking around the office – that’s when I have to be quite careful. Long-term, there’s no formal treatment for Choroideremia, and Tim will likely go completely blind. The timeframe on that is not clear but there are some promising trials from different treatments happening around the world. When we ask our staff what they love most about working at CSIRO, there’s a pretty common response: the people. You can be in a room full of geniuses any day of the week. Sometimes you might be the smartest person in that room and sometimes you’re learning new and amazing things. Tim is no different. “The more people I talk to, the more I realise how much there is that I just don’t know. Every biodiversity surveys discovers new life in our oceans. Credit Asher Flatt. Did you order some world-class marine research? On 12 December 2014, our resolute research vessel Investigator was commissioned into service, delivering a flexible blue-water research platform for collaborative marine research in Australia. Four years and forty voyages on, we‘re serving up four reasons why the marine research we deliver flavours your world. Every breath you take, every move you make, the oceans have contributed more than half of your oxygen. In fact, marine photosynthesisers such as phytoplankton, are estimated to produce up to 80% of the world’s oxygen. The problem is, we don’t fully understand how changes in our oceans are impacting on phytoplankton populations. We know factors like ocean temperature and iron levels are important but we need better data on ocean inputs and dynamics to better understand ocean productivity. Research we deliver includes study of ocean properties to look at what makes for happy phytoplankton and, as a result, healthy ocean food webs and oxygen production. Give a man a fish and feed him for a day; teach a man to fish and he will contribute towards a global fish catch estimated at over 120 million tonnes per year. The global harvest of fish has increased dramatically to meet the demands of growing populations, with recent studies estimating that four million fishing boats ply our oceans. For effective and sustainable fisheries management, we need to know about the size, distribution and health of fish populations, something that is poorly understood for fisheries globally (but slightly better for Australian waters). 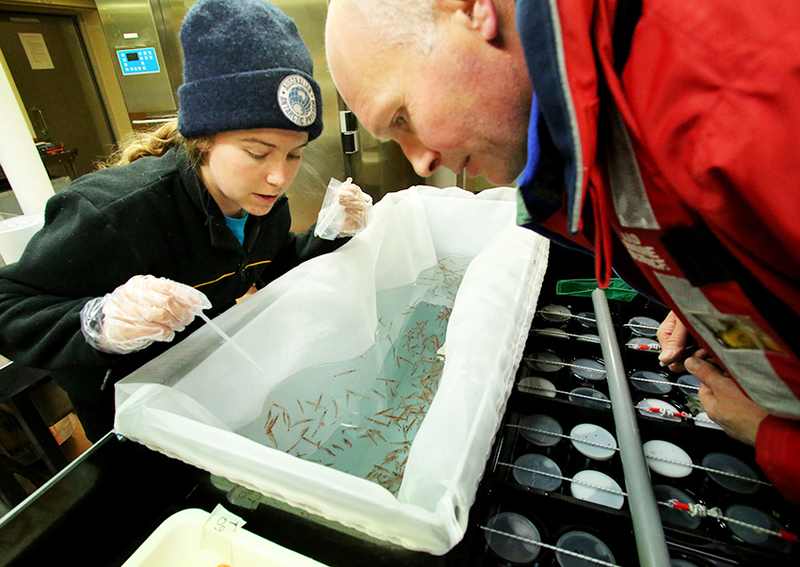 Our research contributes to the better management of fisheries through study of population sizes, changes and movements. This helps inform government and industry to manage fisheries so our increasing demand for fish doesn’t outstrip what our oceans can sustainably supply. 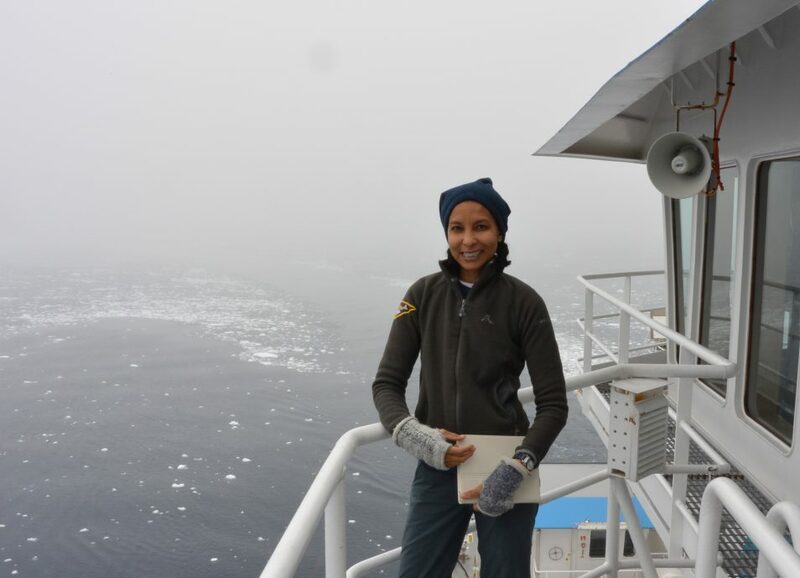 Investigator delivers piping hot marine research from ice edge to equator. When the winds of change blow, we need to look to our oceans for answers. Our oceans help regulate the global climate by absorbing heat (possibly 90% of heat from global warming) and chemicals such as carbon dioxide. To understand and predict climate change, we need to understand the interaction between ocean and atmosphere, including how currents move energy and regulate temperature, and how chemicals are absorbed into the ocean. 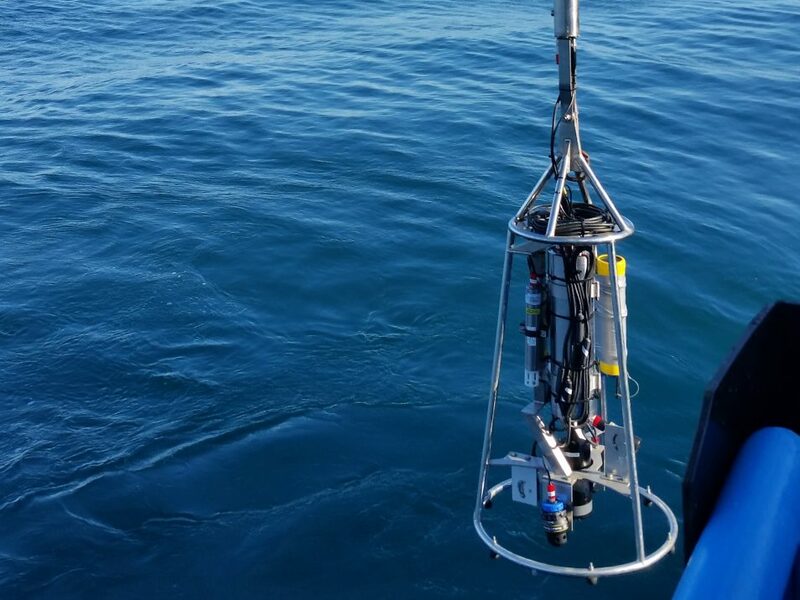 The research we deliver helps plug gaps in our knowledge by enabling long term ocean monitoring as well as targeted research into complex ocean systems that are poorly understood. The end result, more and better data, leading to better models and better predictions. 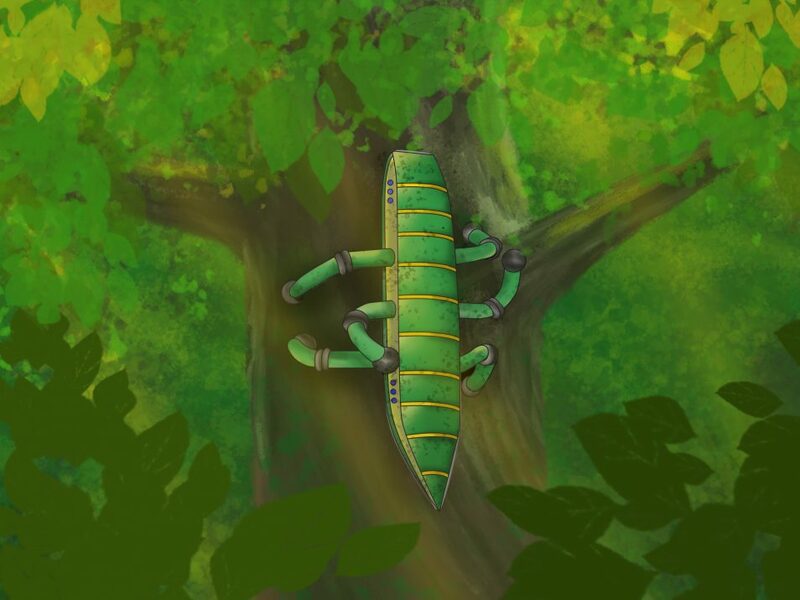 Imagine if every time you walked out the door you discovered a new species! Well, that’s what happens nearly every time we undertake biodiversity surveys in our oceans. We find new fish new corals, new molluscs, new worms, new algae – you name it, we find it. And then name it! A good reason to study and understand biodiversity is because it influences productivity. Recent studies have found that diverse fish communities are more productive and resistant to the impacts of climate change. For effective and sustainable management of our marine environment, we first need to know what’s down there. The data we collect about biodiversity informs policy, industry and future research. A recent report into life found in the Great Australian Bight, including during biodiversity surveys by RV Investigator, found 400 new species. This knowledge is already being used to better inform planning for future development in the region. What’s roughly the size of a toaster but much more useful for Earth observation? Nanosatellites – aka CubeSats. Weighing in at just over one kilogram, CubeSats have a base size of 10cm x 10cm x 10cm. But because every scientist ever is a fan of Lego® building blocks, they’ve also made the cube base stackable so you can add expansion packs. And we’re adding a new breed of these miniature, low-cost satellites to our Earth observation capabilities. 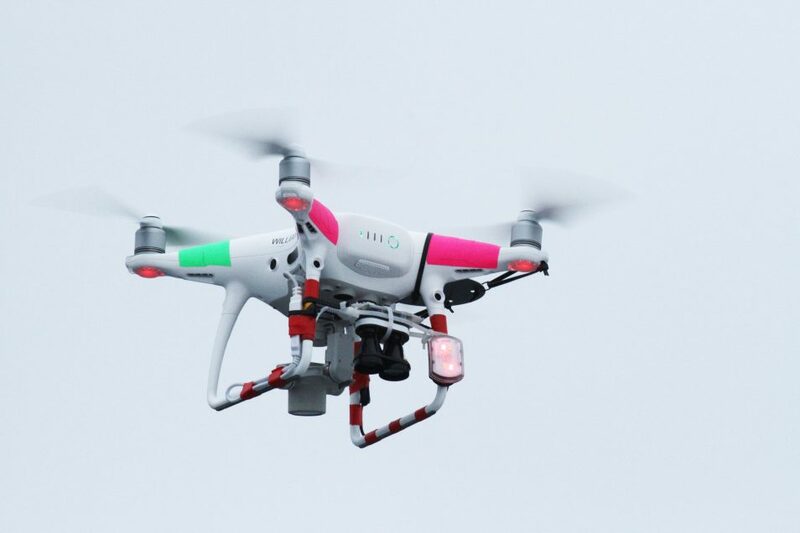 CubeStats are often used to demonstrate new technology to test new science, new concepts and new infrastructure. A customised selection of scientific instruments carry out specific research and miniaturised electronics conduct and communicate the scientific findings. What also makes these little cubes so versatile is that they can be grouped together into “constellations” to provide advanced mission concepts. Their size and weight also add to their appeal as they can piggy-back a ride with other larger cargo heading up to the International Space Station, where they are launched into orbit around Earth. They generally have a short life-span – lasting about a year or two before their power components fail, and they burn up when they re-enter Earth’s atmosphere, but during their lifetime they provide a valuable science data collection. And this is where they punch well above their weight. CubeSats are rapidly evolving and pushing the research boundaries. Their “tech demonstrator” status means they are a viable option for trialling new scientific approaches and pilot infrastructure. And just recently two CubeSats did something no other CubeSat has done before – they travelled to another planet! In the recent InSight lander mission to Mars, two CubeSats developed by NASA accompanied the lander on its journey to the red planet. This was an amazing demonstration of their capability and potential to support the scientific exploration of interplanetary missions. It signalled a game changer for the scientific and technical scope of these low-cost, mini spacecrafts. 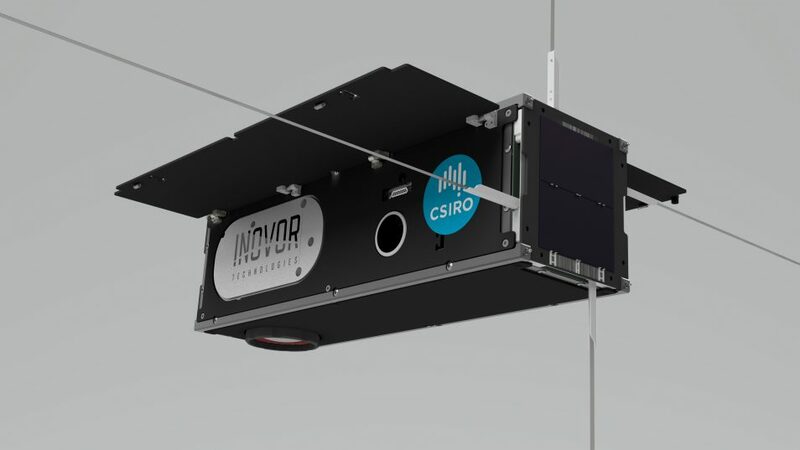 This week we took another step forward in expanding our stable of assets in Earth observation with the acquisition of a bespoke CubeSat with infrared sensing capability, the first of its kind in Australia. Known as CSIROSat-1, the new satellite will allow researchers to ‘see’ features that can’t otherwise be seen using optical satellites. This will be valuable for detecting bushfires through smoke, studying cloud formation and the development of tropical cyclones and much more. CSIROSat-1 is expected to support our approach to overcoming some of the challenges in monitoring the Australian landscape such as remote locations, areas of low population density and challenging environments. The development of our CSIROSat-1 is also a team effort – being built and assembled by South Australian space start-up Inovor Technologies. This research is supported by the Science and Industry Endowment Fund and in-kind contributions from collaboration research partners UNSW Canberra Space, Australian National University and Defence Science and Technology Group. 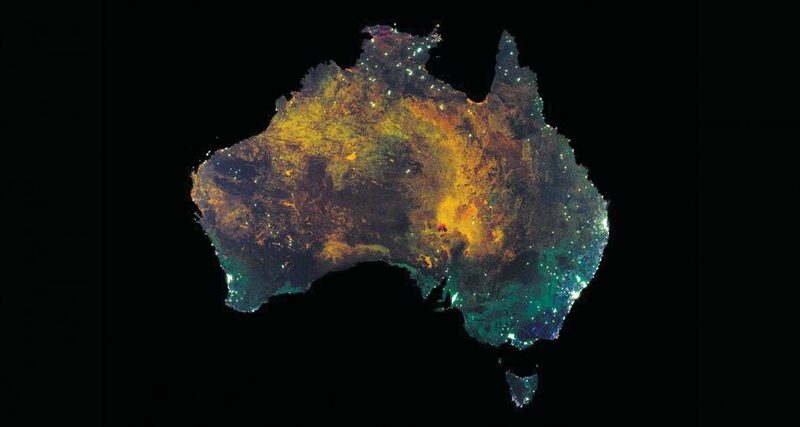 For Australia, and our fledgeling space industry, this technology, along with the recently launched NovaSAR satellite, will be a valuable asset to our space technology portfolio. Being an Australian designed, controlled and operated CubeSat, it will offer the advantages of an optimised data stream customised for Australian users and near-real-time data access via Australian receiving stations. Good things really do come in small packages. 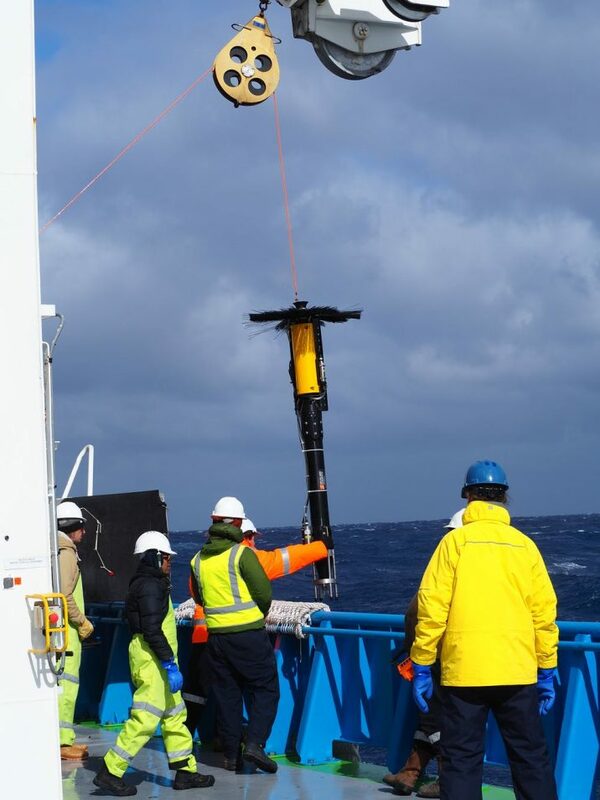 Scientists deploying a vertical microstructure profiler (VMP-2000), which measures temperature, salinity, pressure and turbulence, from RV Investigator in the Antarctic Circumpolar Current, November 2018. Photo credit: Nathan Bindoff. Map of how fast the waters around Antarctica are moving in an easterly direction. It is produced using 23 years of satellite altimetry (ocean height) observations as provided by the European Copernicus Marine Services. Author provided.